Hal Holoun received his bachelor's degree from Hastings College in Hastings, Nebraska, and Master's Degree from the University of Wyoming in Laramie in the early 1960s. Trained in abstract art, Holoun shifted to landscape painting, prompted by his captivation with the interplay between earth and sky. Many of his landscapes take place at either dawn or dusk when the colors are most intense and the earth-sky event most dramatic. In his finest landscape paintings some viewers find that "something spiritual occurs" in which Holoun himself essentially serves as the conduit by which the scene is rendered onto canvas. 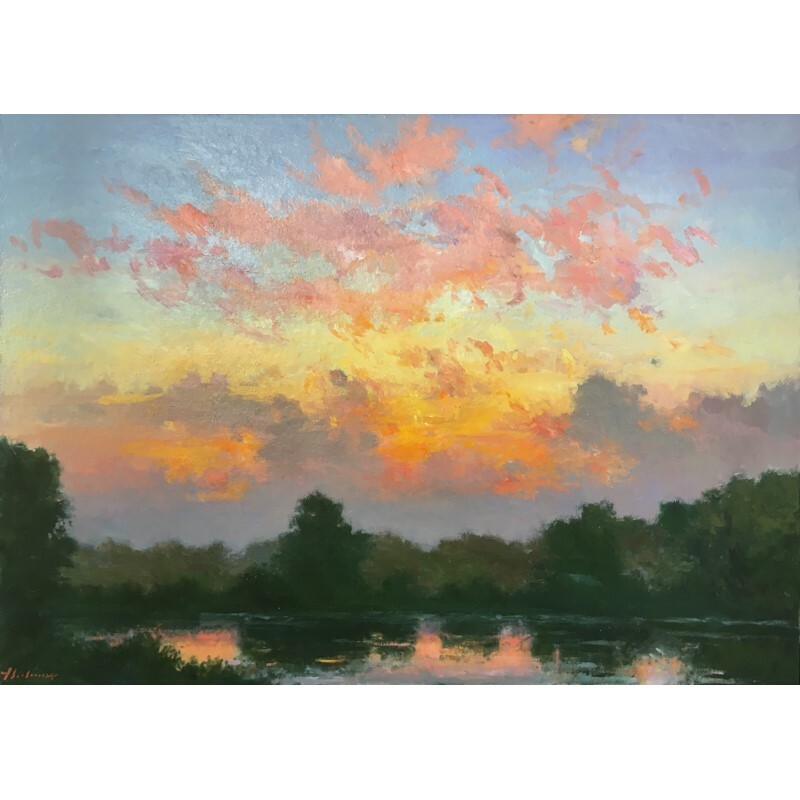 Holoun has held a variety of teaching positions and has been a full-time artist since 1980. His work has been included in numerous group and invitational exhibitions at such institutions as the Tucson Art Museum and the Museum of Nebraska Art.